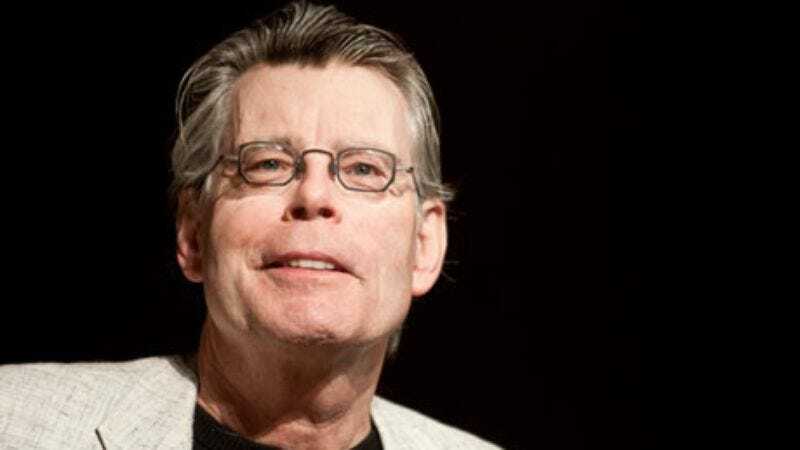 Jamie Morton, the narrator of Stephen King’s latest novel, frequently refers to the Reverend Charles Jacobs as “my old fifth business.” King explains the term in the opening pages of Revival: “Fifth business” is a storytelling term referring to a significant character outside the usual framework, someone who isn’t the hero or heroine, the best friend, or the villain. Every time he trots out the expression—which he does often; linguistic repetition and an obsession with idiosyncratic expressions is a long-running Stephen King tic—it’s a reminder that Jacobs doesn’t have any clear role in the story. He’s a peculiar recurring feature in Jamie’s life, a constant nagging reminder that significant events are being plotted elsewhere. But King plays coy with his readers, keeping those events and their implications hidden until the final chapters. For much of its length, Revival doesn’t feel like a novel as much as it does a narrative experiment written as a character who’s novel-adjacent, as if the entire Harry Potter saga was told from the point of Neville Longbottom, who occasionally gets dragged into the story for a scene or two, but mostly stands around in the background, wondering where everyone’s running off to this time. But King tips his hand by opening the book with H.P. Lovecraft’s most famous lines: “That is not dead which can eternal lie. And with strange aeons even death may die.” It’s a sneaky promise for horror veterans that there’s deep and hidden madness in the works, waiting somewhere down the line. But he takes his sweet time getting there. Virtually all of Revival is a slow build that sometimes feels suspiciously like a shaggy-dog story, one which may not have a punchline. (“All foreplay, no payoff” isn’t at all typical for King, but his formless, virtually event-free novel From A Buick 8 casts a haunting shadow, proving it isn’t out of the question.) In this case, though, the story ultimately finds its way to a horrible jolt, part of which readers will probably see coming and dread all the more as a result, and part of which would take a demented fantasist of Lovecraft’s caliber to anticipate. The book opens in 1962, with Jamie Morton as a 6-year-old, the youngest of five siblings growing up together in Harlow, Maine. Harlow is the kind of small town where everyone knows each other, and when a new reverend is assigned to the local Methodist church, Jamie’s parents are part of the collective who embrace him and make him part of the community. Jamie particularly bonds with Reverend Jacobs, a twentysomething who’s old enough to feel like an adult, but young enough to still connect with kids, and come across more like a cool uncle than an authority figure. Then a tragedy and its aftermath gets Jacobs summarily booted out of Harlow, and for many years, out of Jamie’s life. In the meantime, he grows up, discovers a talent for music, joins a band, starts a career, has a life-threatening accident, and steadily ruins his life. By the time he encounters Jacobs again, Jamie is a desperately ill heroin addict who’s burned his bridges and doesn’t have plans past the next hit. Jacobs has a way to help, but it comes with a price… sort of. That “sort of” is a bit of an issue for Revival, which stirs some unease with developments that feel like the first stirrings of foreshadowing, but never resolve into anything. 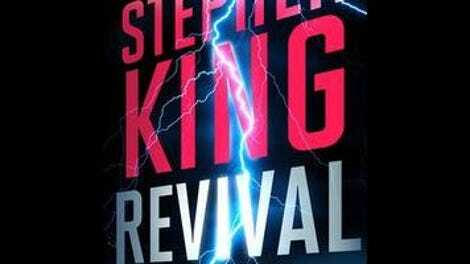 Beyond that, Revival’s primary issue is one that’s plagued King recently, particularly in his Shining sequel, Doctor Sleep: He skims across many of the biggest events in Jamie’s life, robbing them of their impact. The accident that led him to addiction, or the tragic death of one of his siblings, aren’t part of King’s agenda for Revival’s final plot developments, but they’re among the most significant events in his protagonist’s life, and it weakens his story to have Jamie bring them up only after the fact, in a few bare sentences apiece—especially since the book focuses so much time on comparative trivia and loose plot threads. Similarly, there’s a sense throughout the novel that the really important action is almost always happening elsewhere, and that it’s much more interesting than Jamie’s skimmed-over adventures in the music trade. King constructed the book as a calculated tease, though, mostly dangling a taste of what’s going on in the main story over readers’ heads. (He’s said Revival was partially inspired by Frankenstein, and Jacobs is clearly the Victor Frankenstein character, while Jamie is at best Henry Clerval, Victor’s barely glimpsed childhood friend.) The structure has a powerful effect as a withholding technique. But it also results in a book where not much happens for hundreds of pages, suggesting in the end that Revival could have trimmed all the buildup and instead been an extremely unnerving short story. King’s fans, familiar with his sprawling voice and comfortably compelling style, may be perfectly content to hang out with him on this leisurely stroll toward eventual horror. Other readers may impatiently wish for the version of the story where Jacobs is the first order of business, rather than the fifth.